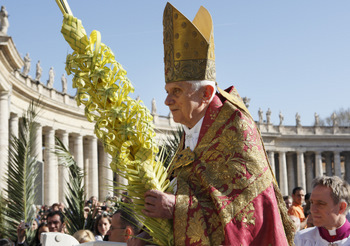 To mark the beginning of Holy Week, Benedict XVI preached on the Lord's ascent to Jerusalem, which was commemorated liturgically with the blessing of palm branches and the procession with them before Mass. 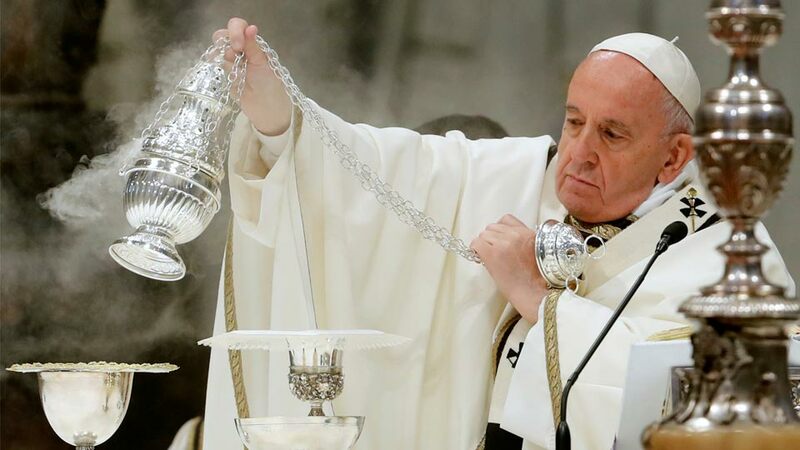 In his homily, the Holy Father said that man seeks to follow Jesus "along the high road that leads to the living God", but to attempt to do so by one's own strength actually "drags us down and estranges us from God". As such, man is caught between two "gravitational forces": evil and God's love. "All the inventions of the human spirit," the Pope explained, "are ultimately an effort to gain wings so as to rise to the heights of Being and to become independent, completely free, as God is free." He noted that mankind can now fly, quite literally, and can communicate across the globe. Yet with these achievements come "possibilities for evil" that reveal our limitations. For example, he said "we need but think of the disasters which have caused so much suffering for humanity in recent months," possibly alluding to the nuclear crisis in Fukushima, Japan. 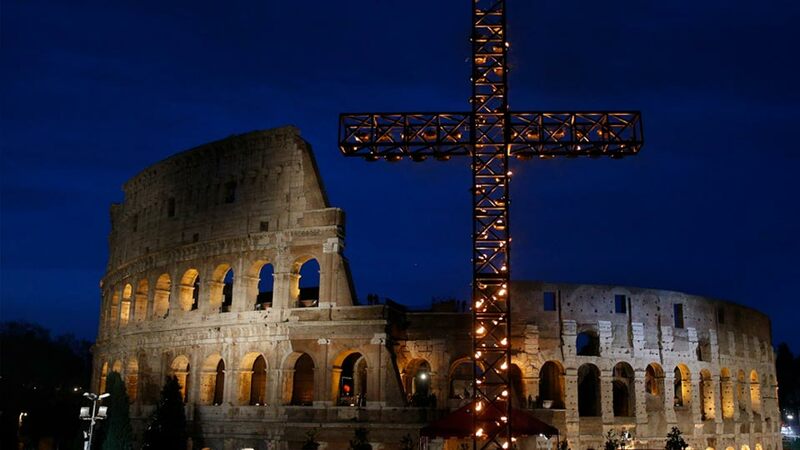 S+L's extensive coverage of Holy Week celebrations in the Vatican continues with the Mass of the Lord's Supper on Thursday (consult our programming times here). For a Canadian perspective, this evening we show you how Holy Week is lived in a Benedictine monastery in British Columbia, as we present the S+L premiere of our feature-length documentary This Side of Eden. Following the Liturgy of the Word, at the beginning of the Eucharistic Prayer where the Lord comes into our midst, the Church invites us to lift up our hearts: “Sursum corda!” In the language of the Bible and the thinking of the Fathers, the heart is the centre of man, where understanding, will and feeling, body and soul, all come together. The centre where spirit becomes body and body becomes spirit, where will, feeling and understanding become one in the knowledge and love of God. This is the “heart” which must be lifted up. But to repeat: of ourselves, we are too weak to lift up our hearts to the heights of God. We cannot do it. The very pride of thinking that we are able to do it on our own drags us down and estranges us from God. God himself must draw us up, and this is what Christ began to do on the cross. He descended to the depths of our human existence in order to draw us up to himself, to the living God. He humbled himself, as the second reading says. Only in this way could our pride be vanquished: God’s humility is the extreme form of his love, and this humble love draws us upwards.